Some things I find scary: tornadoes, restaurants that don’t understand gluten allergies, Remy Ma. We all have our own fear factors, right? I’ve had a lot of clients and friends tell me they don’t wear eyeshadow because they are afraid they’ll mess it up. That should not be on the list of things anyone is afraid of! So if it’s on your’s, I’m going to help you get past it. No no, I insist. I’m going to teach you how to do a basic eyeshadow look that works on all eye colors, and with little tweaks, all eye shapes. You in? Then let’s do this. Step 1: Prime Time. If you want your eyeshadow to last, you have to prime first. It’s super easy, and you can read all about it here. Step 2: Choose Your Weapons. You’re going to need three brushes: a dense eyeshadow brush, a fluffy eyeshadow brush and an angled eyeshadow/liner brush. 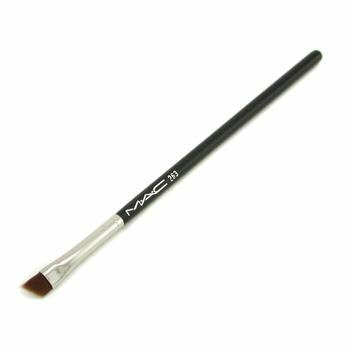 My three favorites are from MAC, but take a look at these photos and see if you already have similar brushes. No need to buy what you already have. We tryin’ to keep our bank accounts healthy at A Pretty Addiction, right? MAC 239. 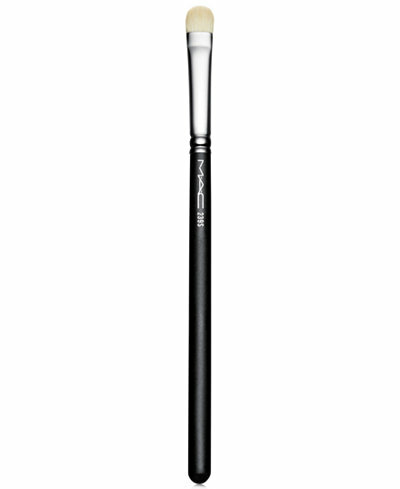 Dense eyeshadow brush. MAC 217. Fluffy eyeshadow brush. MAC 263. Small angled brush. Step 3: Shadowy Lady. You only need three eyeshadow colors for this basic eye makeup look. The first one should be a neutral, matte or satin shadow that is a couple shades lighter than your skin. (If you want to make your eyes look bigger, choose a shimmery version of that shade, as shimmer makes areas look big when light hits the shimmer particles.) The second color should be a matte brown that is a couple shades darker than your skin. And the third shadow should be a matte shade that is couple shades darker than that last shadow. Step 4: Patty Cakes. Pick up that dense brush, dip it in the lightest eyeshadow, and pat it onto your lids up to the crease of your eye. You want to make sure that you pat the shadow on so that the maximum amount of product is applied. If you do a back and forth windshield wiper motion while applying lid shadow, it can get patchy. The point of this particular lid shadow is to brighten up your eye area and even the skin (pigmented matte shadow will hide the tiny veins and most of the discoloration that can appear on the lids). 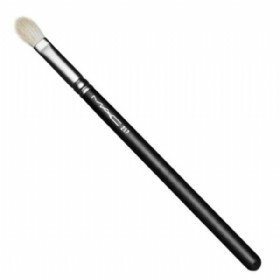 Use your fluffy brush to blend the edges near the crease and on the outer corners of your eyes. If you want the one minute version of this eyeshadow look, you are done now and can move on to mascara. 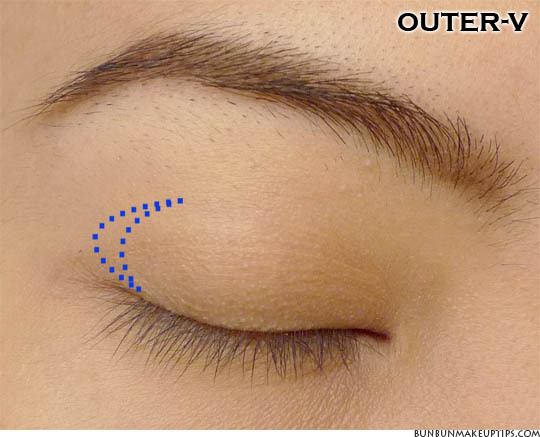 If you have hooded eyes or monolids, use your fluffy brush to apply that same shadow to the outer corners of your eyes instead of the crease, as your’s maybe be hard to see or nonexistent when your eyes are opem. That will be much more flattering to your eye shape. If you only have a couple minutes for your eyeshadow, you can stop here and move on to mascara. See where that darker shade is? That’s where you put your medium shade, unless you have hooded or monolid eyes. Where to put the second darkest shadow color on a monolid or hooded eye shape. Step 6: Can You Define That For Me? Eyeliner gives the eyes definition. There are several different formulations and every color you can think of out there, but for this look, we’re talking about using an eyeshadow as a liner. That gives more of a soft focus effect than a pencil, gel or liquid liner, plus it’s easier to do and way more forgiving. Pick up that angled brush and dip it into the same eyeshadow you used in Step 5. Tap the brush to get rid of the excess shadow, then apply it to your bottom lashline. The key here is to get it as close to your lashes as possible. Repeat this step on the top lashes using the darkest eyeshadow. But at the corners, pull your brush up slightly. That will give the illusion that your eyes are uplifted, which is flattering on most people. If you feel confident with a pencil, gel or liquid liner, you can use that on your top lashline instead, but keep in mind that will take a little bit longer. And now you’re done! You have created a polished, flattering eyeshadow look that will work for any occasion and go with any lip color. It may take a little practice, but you can definitely do this. For more eyeshadow help (like if you were wondering what a “satin” eyeshadow is), check out this post.